Our network of Kagyu Buddhist groups is part of the Dechen community. Dechen is based in the West and made up almost entirely of lay people. We do, however, have one monastic community in the Kathmandu Valley in Nepal. 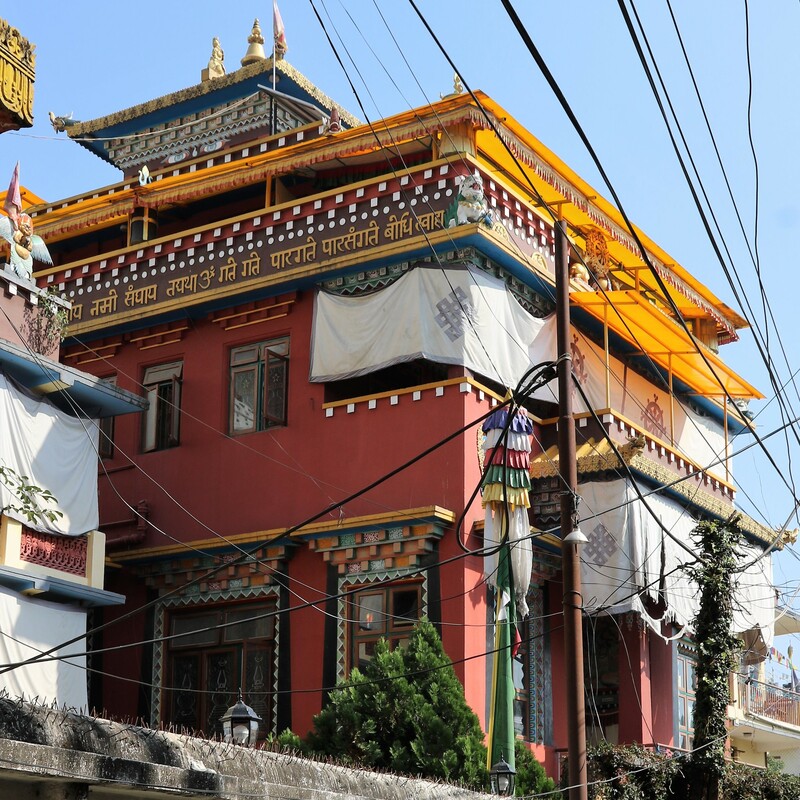 Karma Tegchen Lekshey Ling is a nunnery which houses a group of around 25 nuns. 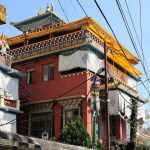 It was established by the founder of our community, Karma Thinley Rinpoche and is his monastic seat. The nuns lead a very disciplined life. Their time is dedicated to prayers, rituals and individual study and practice, which begins each morning at 4.45 and continues for most of the day. Their diet is vegetarian and their lifestyle frugal. The only income the nunnery has is from donations, so there is rarely enough money for anything other than basic necessities like soap and toothpaste. There is only solar heated hot water in one part of the compound, so hot showers are restricted to one per week. Although the nuns live a secluded life, the nunnery is located close to the famous Great Stupa of Boudhanath, so they do take the opportunity to do ‘kora’ (circumambulating the stupa in contemplation) when they can. They have few visitors, but Dechen Community sangha members are always welcome to drop in and will receive a hospitable welcome. The most recent addition to the nunnery is a group of young novice girls from poor Buddhist families in remote mountain areas, where they would otherwise be living in very difficult circumstances. The nunnery provides a safe, nurturing home and education for them. As well as their traditional Buddhist training, the young novices have school lessons every morning, learning English, Nepali, maths, geography and hygiene. Teachers come from a local international volunteer organisation; they are often non-Buddhists and provide a window on the world for the little girls. The novices will decide when they are older whether they want to remain at Tegchen Lekshey Ling, and their education will prepare them to go out into the world if they choose to do so. Kathmandu is a challenging place to live. The people of Nepal are still struggling to rebuild their towns and villages after the devastating earthquake of 2015. Poor governance, high poverty levels and the 10 years of civil conflict that ended in 2005 means public services are much more limited than we are used to in the UK. Roads are poor, fuel is sometimes scarce, the electricity supply is unreliable and there are meagre public water supplies – even in towns. People routinely have to find their own solutions to problems we couldn’t even imagine having. The Nepalese are a resourceful people, however, and new homes are slowly being rebuilt in the ruins of those hit by the earthquake. There is a ‘make do and mend’ culture and a cheerful determination to find something positive in even the most difficult of circumstances. There are strong religious traditions here – both Hindu and Buddhist – and this influences the way people behave. Many of our Western community members have visited Kathmandu and they return with stories of the kindness and compassion they have experienced. Donations made by members of the Dechen community in the West help to ensure the nuns are able to continue their simple existence, contributing towards food, clothing, basic needs and giving the little novice nuns an occasional treat like a trip into town to vary their diet. Every penny of any donation made via this website, plus GiftAid where donors are tax payers, goes directly into a fund to support the nuns in this way. If you would like to help, follow this link.